Whilst in the US it was the drugstores that stole my heart rather than Sephora. 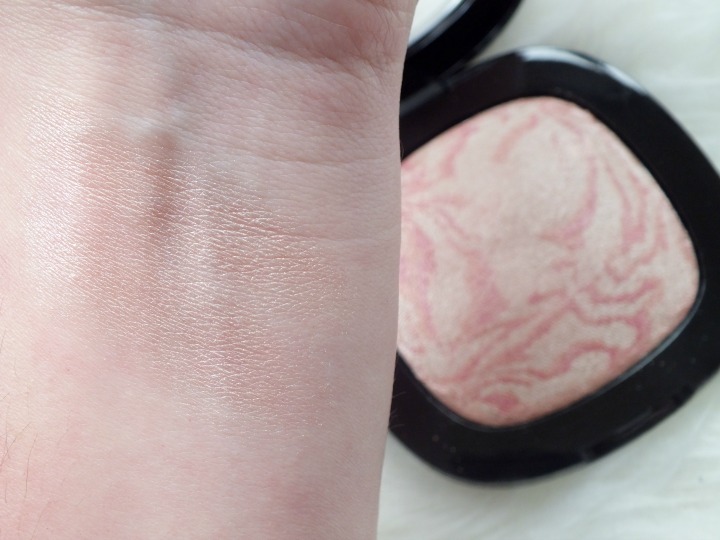 During my trip I spent some time on Pinterest (find me here) searching for high end dupes that could be picked up in the drugstore and one that caught my eye was Wet n Wild’s Rose Champagne Glow palette. Firstly do we call this a palette? Not important? Ok let’s move on. This highlighter is huge, especially in comparison to the Charlotte Tilbury Bar of Gold and based on my highlighter usage I can see this lasting forever. Price at only approximately five dollars it’s a bargain and worth every penny. 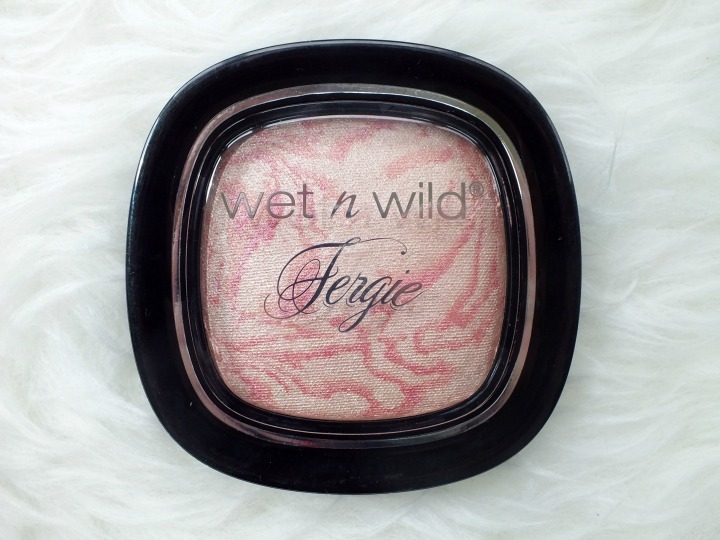 I already mentioned in my April favourites (see them here) that I’m having a love affair with highlighters and the Wet n Wild addition to the Fergie collection has only encouraged this. Where the Charlotte Tilbury Bar of Gold leans towards the golden champagne shades, Wet n Wild’s as the name suggests provides a rose champagne glow from the baked mosaic trio of peaches, pinks and beige and compliments pink blushes nicely. I’ve been reaching for this almost daily such is it’s subtle pearl finish. There is no glitter here which is often the case with drugstore highlighters and just a pretty glow that helps fool people into believing I’m full of beans even after a heavy night. 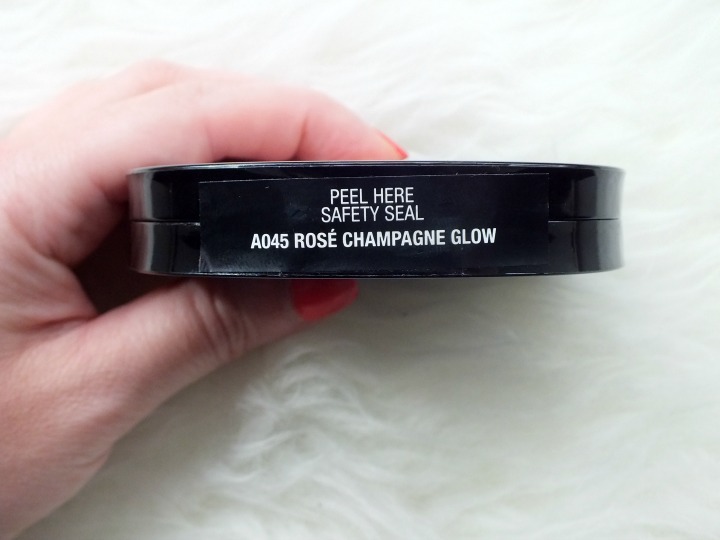 It is heavily pigmented so use with a light hand by day and build up at night. My investigations also tell me that it can be used wet or dry so I will be trying that out when I have a night out planned. As for its dupe status I’m told it’s a dupe for Mac Mineralise Skin Finish in Soft and Gentle, again I don’t have anything to compare but all I know is that I don’t need to find out, I’m happy with my drugstore version. If we were to be critical is it a little too big and is the packaging rather bulky and cheap looking? Maybe but not so it bothers me and I’ve found I can pop this on in the morning and happily leave the palette at home safe in the knowledge it has some staying powder and touch ups aren’t necessary. What do you think,of drugstore highlighters, do you have a favourite? For the price this sounds amazing. I think I will pick this up when I visit America later this year. So excited!